We are always so rushed these days that it is hard to find time to slow everything down and appreciate a literary interlude. Reviewing books, writing articles and papers, finishing novels...always such a commitment of time. But taking the time to read short pieces of literature online, like the occasional piece of Godiva chocolate, can be quite refreshing and enjoyable, reminding us that beautiful writing comes in small gifts too. The first is a thoughtful new poem, "Shapeshifter," by poet and young adult author Maureen McQuerry, that slowly unravels the process of transformation. The second is a short story, "Medusa at Morning" by Beth Bernobich, available at the newly redesigned Behind the Wainscot site (which, by the way, has lots of great new fiction offerings). Also, as I've been searching out "Swan Maiden" fiction for an upcoming article, let me recommend the beautiful and haunting "Gift of Flight" by Nghi Vo, published in Strange Horizons (which also has a tremendous backlist of short science fiction and fantasy tales). And for something completely different, bracing as a cold smack of fresh air, try Hari Kunzru's funny and poignant contemporary short story "Magda Mandela" at The New Yorker, about a woman who is a force of nature and whose voice is a metaphysical wonder. 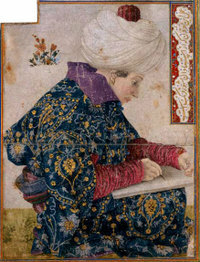 *The art above is "The Scribe" by Gentile Bellini (1479-80). 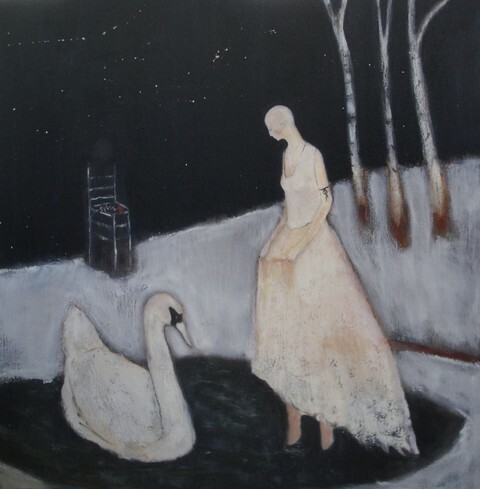 I am currently finishing up an article for Realms of Fantasy's "Folkroots" column on Swan Maiden narratives. I have been astonished how rich and varied the world traditions of this tale are -- and yet how eerily similar. The Swan Maiden is of course another beastly bride (my favorite kind -- so difficult to pin them down and so impossible for any husband to actually control), but there are a couple of peculiar variations of her tale. The most interesting version has come from the nasty rumors detractors circulated after the death of Queen Eleanor of Aquitaine (referred to as the "Demon Queen"), wife of Henry II and mother of Richard Coeur de Lion. 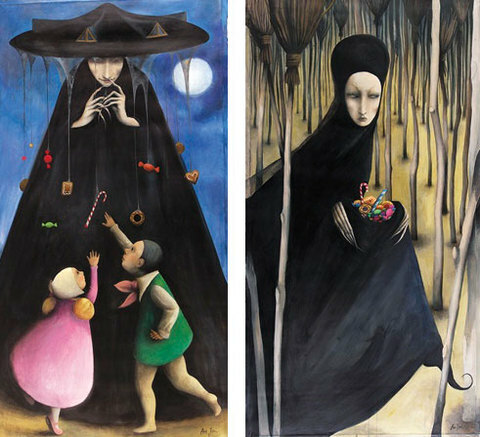 "In a unique collaboration between The New Yorker and the Metropolitan Opera, Gallery Met presents a special exhibit of art work inspired by the Grimm fairy tale Hansel and Gretel. The exhibit features works by many of the magazine’s artists, including Roz Chast, Ian Falconer, Jules Feiffer, Ana Juan, Ed Koren, Anita Kunz, Lorenzo Mattotti, Christoph Niemann, Lou Romano, Owen Smith, William Steig, Gahan Wilson, and Bob Zoell. Other contemporary artists are represented as well, including John Currin, George Condo, and William Wegman. 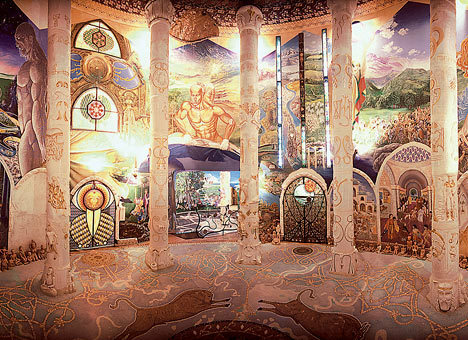 "The exhibit, curated by the Gallery Met’s director, Dodie Kazanjian, and The New Yorker’s art editor, Françoise Mouly, is inspired by the Met’s holiday presentation of Engelbert Humperdinck’s operatic version of the fairy tale, which will première on Monday, December 24. Gallery Met is free and open to the public." 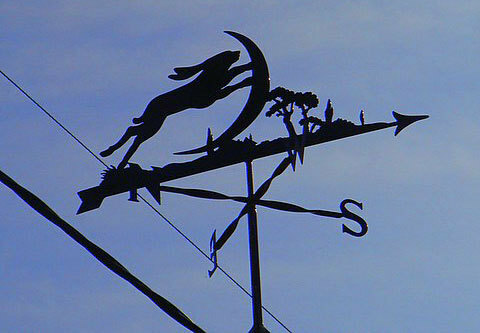 We thought you might enjoy this photo of a splendid Hare and Moon weathervane from St. Mawes in England. It was sent to us by Cathy Nicolls. 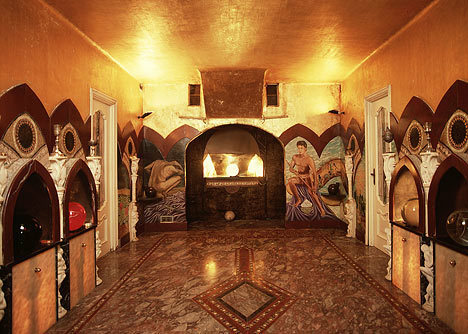 We often get emails with wonderful photographs of mythic finds, a place or a moment where something strikes the viewer as myth in action in the world. It occurred to us that it might make for a regular category here on News and Reviews -- so let us know if you have one of those moments, send us a photo, and we will share it with our readers. It's quite comforting really to know that art and myth continue to share space alongside the modern and technical. The first Fantasy Matters Conference was held the weekend of 16-18 November 2007 at the University of Minnesota Law School. Nearly two hundred people from all over the world were in attendance, and I, along with Lindsay Craig and Jennifer Miller, had the privilege of being one of the organizers. When planning the conference, we wanted the dialog to include both the academic and creative aspects of fantasy literature. To that end, we were extremely fortunate in our keynote speakers. Eminent scholar Jack Zipes gave an erudite and challenging critical address: "The Delusion and Hope of the Fantastic: Why Fantasy Matters Too Much." Award-winning author Neil Gaiman did an absolutely delightful reading of the first chapter of the forthcoming Graveyard Book, and shared some of his own thoughts on why fantasy matters. Both Jack and Neil were generous with their time and energy, and their presence was appreciated and enjoyed. Other highlights included an opening panel reading organized by Haddayr Copley-Woods and featuring nine local authors, including Barth Anderson and Naomi Kritzer. We had panel discussions on topics including Fantasy Literature and Politics, Writing and Publishing Fantasy Literature, and Comics and Fantasy Literature. Over fifty scholars presented papers. Featured readers Pat Rothfuss, Drew Bowling, Pamela Dean, David Anthony Durham, Jim C. Hines, and Nnedi Okorafor-Mbachu all read from recent or forthcoming works and DreamHaven Books was on hand to make sure we all got our fix of excellent books. The closing panel -- Jack Zipes, Pat Rothfuss, Theodora Goss, Jen Miller, and I -- readdressed the question of why fantasy matters. We didn't come to any conclusions, but it is a discussion we all hope will continue. Many people have asked whether or not we are planning on making this conference a regular event. The short answer at this point is, we don't know, but we're not ruling it out. We thank all of you who attended, particularly those of you who first heard about the conference here at the Journal of Mythic Arts. And we thank all of you who know that fantasy matters. Our Monday Morning Video to kick off the week: "Feathers to Fire," from Gregory Colbert's gorgeous Ashes to Snow "nomadic museum" exhibition. For our Sunday Poems today I have a pair of poems about feasting and family -- both before and after the meal. Both poems describe magical moments of transition in the process of turning food into feasts and feasts into loving rituals that celebrate family, the harvest, and the turn of the seasons. playing a harp of wheat in the field. will fly with trained and murderous intent." 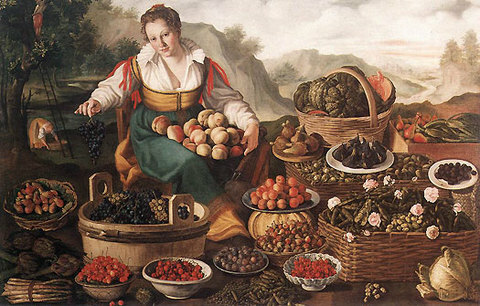 With an almost prophetic vision, the woman senses the idea of food as charged with something more than sustenance. The second piece is an audio clip of poet Sandra Gilbert reading After Thanksgiving. It is a lovely poem concerning the quiet aftermath of Thanksgiving: the food-stuffed children flying home, and the beautiful slow turning of fall into winter. To find this featured audio on Poetry Foundation's homepage, check the middle column, opposite the search function for the section: featured audio. 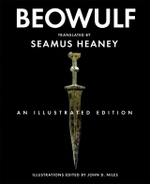 As Beowulf's name has entered popular culture again -- this time the result of a CGI intensive animated movie that has taken some serious (and to this purist, questionable) liberties with the ancient tale -- I thought it a good time to offer encouragement to read or even re-read this classic epic. I promise you that the translations available are excellent, and the whole narrative only takes about two hours to read -- every minute of which will be well spent. Let's start at the top with the brilliant verse translation by Irish poet Seamus Heaney. There are currently several versions available, depending on your particular passion: Beowulf: The Bilingual Edition offers the original Old English text on one side and Heaney's translation on the other side, which is especially nice if you actually know Old English -- as one of my former students did, regaling me one afternoon with the finer points of the language and its translation. For those who love annotated versions and pictures, try the brand new Beowulf: An Illustrated Edition (edited by John D. Niles), which features not only Heaney's superb translation, but also a large collection of photographs of artifacts, art, and ships, along with details of the historical context of Beowulf's world. 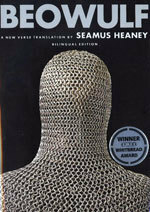 A third Heaney translation, Beowulf: A Verse Translation (edited by Daniel Donoghue), was published by Norton Critical Libraries. I love this edition too, because in addition to the text it includes excellent critical essays on Beowulf, most notably Tolkien's brilliant "Beowulf: The Monsters and The Critics," which today (some fifty years after it was written) still remains a lively and influential examination of the text. Also offered are additional source materials transcribed about the same time as Beowulf, including a wickedly good story, "Grettir the Strong and The Trollwoman," where one can hear the echoes of Beowulf's battles with Grendel and his Mother. In the picture book category, I recommend the new illustrated version by James Rumford. The art is wonderful -- conveying all the intensity of the drama and certain to capture the imagination of younger readers. Michael Morpurgo and Michael Furman have also produced a sumptuously illustrated version -- this time with rich color and celtic border designs. Gareth Hinds has produced an interesting graphic novel styled version. (The image at the top of the post is one of Hind's illustrations.) Check here to see a NYT review of all three of these titles. 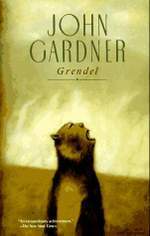 And let's not forget John Gardner's Grendel, where the monster for once speaks the tale. It's a terrific first person novel from Grendel's point of view, especially when familiar with the original epic. The turn in point of view makes for a compelling read. This novel is equally appropriate for a young adult or adult reader. And here's a cool place to stop and visit to listen to Beowulf scholar Ben Slade read of Beowulf's arrival in Denmark in the original. Actually, I highly recommend an internet visit to Slade's own website, where you will find all things Beowulf. "...weaving their way underneath the hillside are nine ornate temples, on five levels, whose scale and opulence take the breath away. Constructed like a three-dimensional book, narrating the history of humanity, they are linked by hundreds of metres of richly decorated tunnels and occupy almost 300,000 cubic feet..."
A while back, I posted a link to comic book artist Nina Paley's website, where she was turning her art into animation with a wonderful, off-beat film of The Ramayana, India's mythic tale of the goddess Sita and her turbulent relationship with the god Rama. All through her troubles and woes, the curvaceous Sita sings in the soulful voice of 1920's jazz singer Annette Hanshaw such classic songs as "Mean to Me" which seem perfectly at home (and wildly funny) in the ancient setting. Nina Paley continued work on the shorter, episodic films and has now completed what looks to be a visually gorgeous, multilayered full length feature. Here's a press release description of the new 82 minute film, due out in Spring of 2008: "Sita is a goddess separated from her beloved Lord and husband Rama. Nina is an animator whose husband moves to India, then dumps her by email. 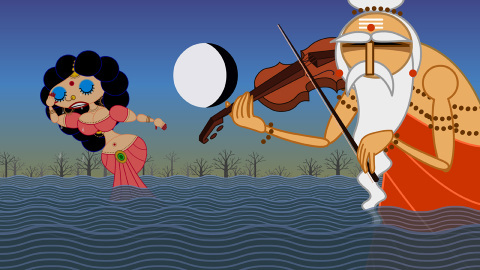 Three hilarious shadow puppets narrate both ancient tragedy and modern comedy in this beautifully animated interpretation of the Indian epic Ramayana. Set to the 1920's jazz vocals of Annette Hanshaw, Sita Sings the Blues earns its tagline as "The Greatest Break-Up Story Ever Told." You can check out the trailer of the new film below, purchase prints made from the still (these are terrific! ), or see a sneak preview at Oddball Films in San Francisco Dec. 1, 2007.